Del Mar Terrace Homes are located in the coastal community of Del Mar, California. This is a great area located on the very south east area of town. The neighborhood has a very upscale feel to it with a wide variety of custom homes built on the hillside. You will find large Contemporary, Mediterranean and other architectural stunning homes that can offer panoramic views of the ocean. This is a very expensive part of Del Mar with home prices normally starting in the mid $1,500,000 range. 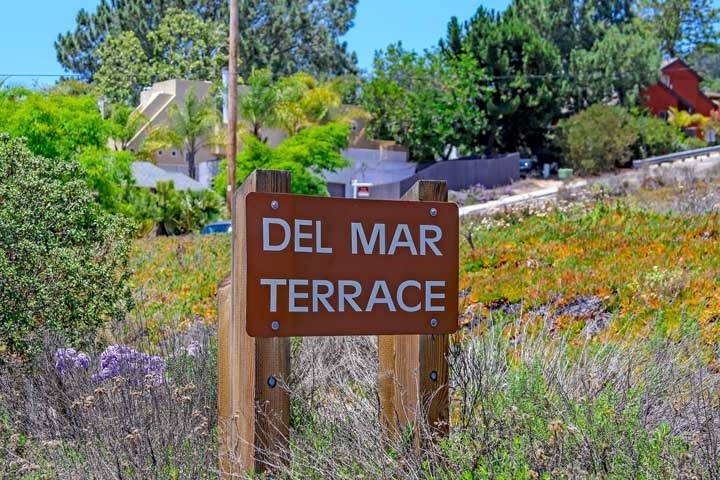 One of the benefits of living in the Del Mar Terrace community is the close proximity to the beach. From this location it's an easy 5 minute drive to the beach with easy freeway access as well. The neighborhood is located on the very southern end of the Del Mar city limits with a large natural preserve area located between Del Mar and La Jolla town boarders. Below are all the available Del Mar Terrace Homes for sale and for lease in Del Mar. If you are looking for a Del Mar Terrace rental home for lease, please visit our Del Mar rentals page. Questions regarding this community and any of the homes listed here? Please contact us at 888-990-7111 today. Based on information from California Regional Multiple Listing Service, Inc. as of April 20th, 2019 at 4:12am PDT. This information is for your personal, non-commercial use and may not be used for any purpose other than to identify prospective properties you may be interested in purchasing. Display of MLS data is usually deemed reliable but is NOT guaranteed accurate by the MLS. Buyers are responsible for verifying the accuracy of all information and should investigate the data themselves or retain appropriate professionals. Information from sources other than the Listing Agent may have been included in the MLS data. Unless otherwise specified in writing, Broker/Agent has not and will not verify any information obtained from other sources. The Broker/Agent providing the information contained herein may or may not have been the Listing and/or Selling Agent.